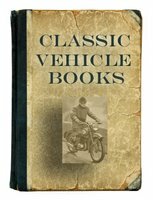 Gilera motorcycle books includes the history of Gilera and many workhop manuals in Italian and English. Gilera is an Italian motorcycle manufacturer founded in Arcore in 1909 by Giuseppe Gilera. Gilera Road Racers: From Milan To The Mountain by Raymond Ainscoe (1987) is a history of the development and achievments of this motorcycle marque. 192 pages packed with information accompanied by many photographs of the bikes in action and the people that ride them. 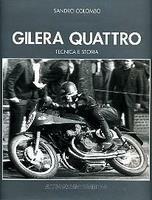 Gilera Quattro: Tecnica E Storia by Alessandro Colombo (1999) is a wonderful edition about these classic motorcycles. Italian text. 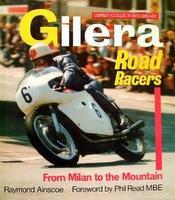 Gilera: The Complete Story by Mick Walker (2000) presents the long and varied history of Gilera. Gilera's history encompasses almost the entire 20th century, and looks certain to have an exciting future well into the 21st. Topics covered in the remarkable story of this fine Italian marque include: background history; road and racing bikes; and full specifications. 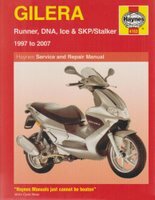 Gilera Owner's Manual Runner FX, Runner FXR Date unknown. Italian text. Gilera Manual De Repuestos. 175, 180, 200 Motocicletas Date unknown. Italian text.